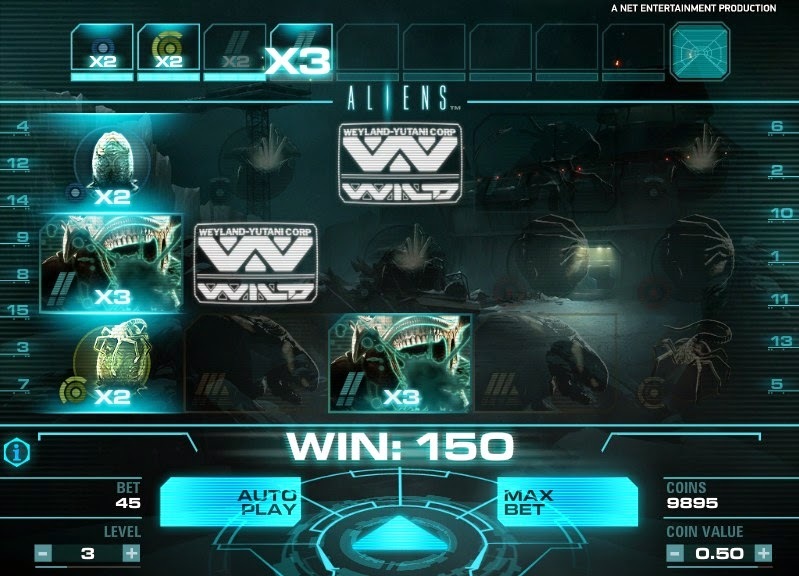 Aliens is a blockbuster video slot powered by Net Entertainment and made as a result of the licensing agreement with 20th Century Fox. The game is base on the film of the same name which was released in 1986 and directed by James Cameron, the film stars Sigourney Weaver and became a worldwide cult favourite. Aliens includes most of the original characters and cast from the movie series. 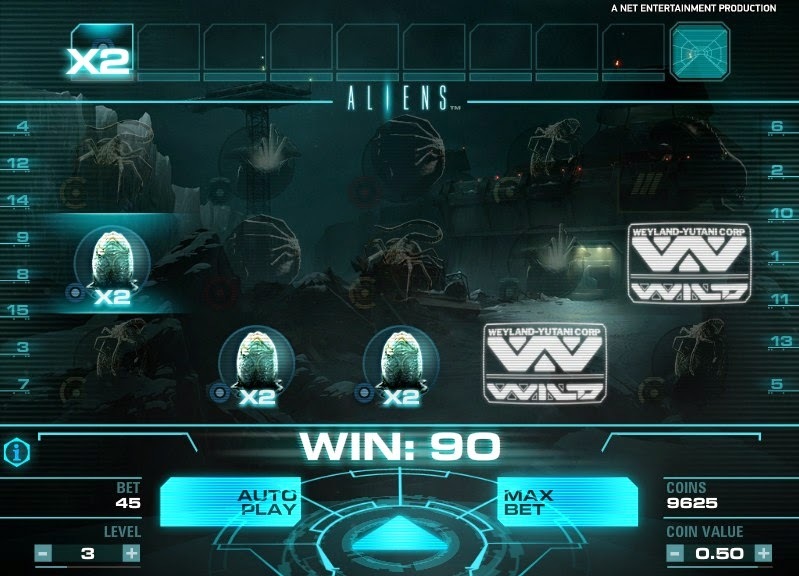 The Sci-Fi series was well known for its eerie and dark nature and this is one of the features that makes this slot game unique. 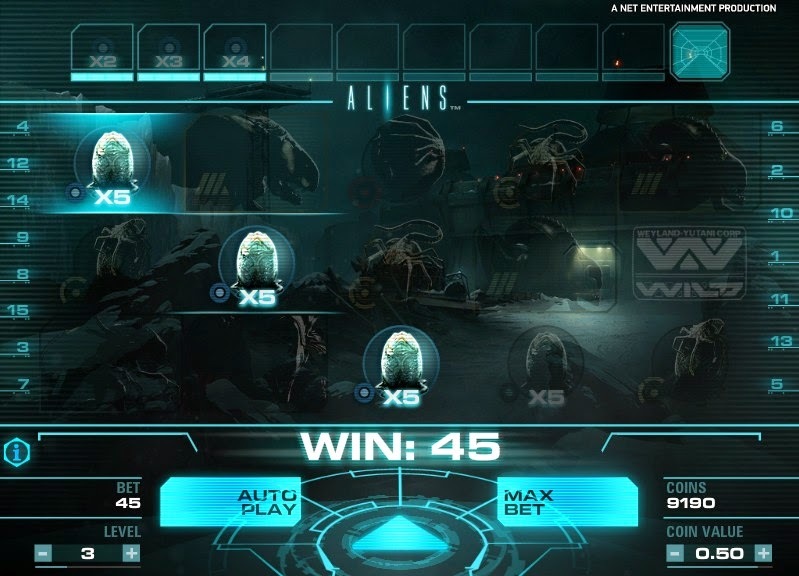 The game has 15 pay lines and 5 turning reels full of aliens symbols, and with it’s creepy music and sound effects, Aliens slot will have you look over your shoulder in suspense! 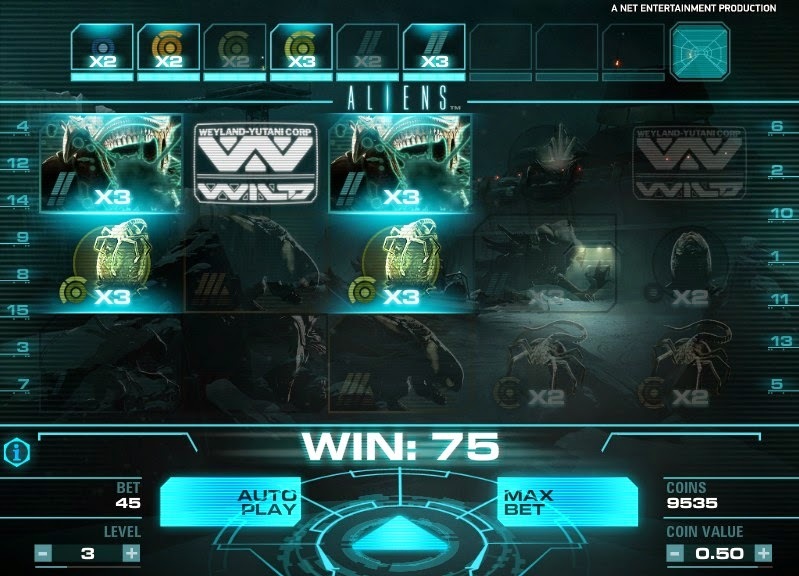 The maximum number of coins that can be won is 570.000. You’ll have to bet max on every line to hit this, but smaller bets can also produce substantial wins when you face off against the Queen Hive. The best possible award is obtained by destroying the Queen with your grenades, but the symbol overlay feature can also produce good wins!